Be the first to hear about their new releases and deals. Download the Booksprout app and search for Matthew Angelo today! 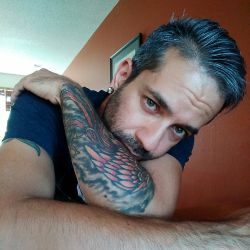 Matthew is the author of the paranormal/thriller novella A Slaughter of Angels and the upcoming series The Midnight Agency (a follow up to A Slaughter of Angels), as well as The Heart of the Dragon Series (Fantasy/Romance series) and A Question of Honor (Fantasy/Romance). A current Photograher, his work has appeared with publishers Less Than Three Press and Extasy Books. He has appeared in independent horror films, STDemon (also future sequels) and Summer Rage and works as the editor for Midnight West Productions. He lives in Colorado with his pack, where belly rubs and wet noses are a daily occurrence.